Since 1938, Catholic Community Services’ Whatcom Family Center has responded to the needs of the community. Those needs prompted our relocation to the Washington Grocery Building in 1997. Our mental health and family education services to children regularly serve more than 700 individuals each year. Our Hope House, located next to Bellingham High School, annually helps 10,000 individuals meet basic needs. Our 121 affordable housing units in downtown Bellingham provide quality living for persons who have limited income. 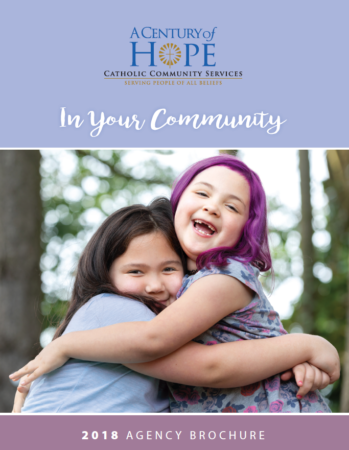 Through the collaboration of many community organizations, and hundreds of volunteers and staff, Catholic Community Services makes a difference in the lives of those who call Whatcom County home. Click here to view and download our Whatcom County brochure.